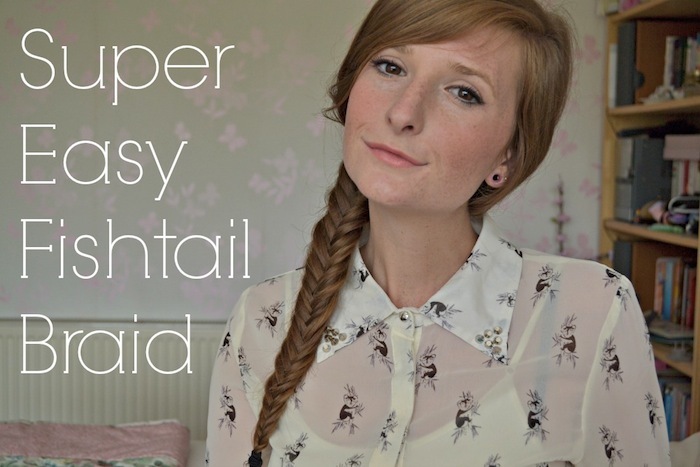 I uploaded my first hair tutorial to YouTube this morning, it's a super easy fishtail plait/braid tutorial! I love the look of fishtail plaits, they're so simple once you know the technique but they look like you've put a lot more effort in! As you can see from the lack of freckles, these pictures are really old and were taken back in November 2013. I can't believe how freckly I've got over the last few months! 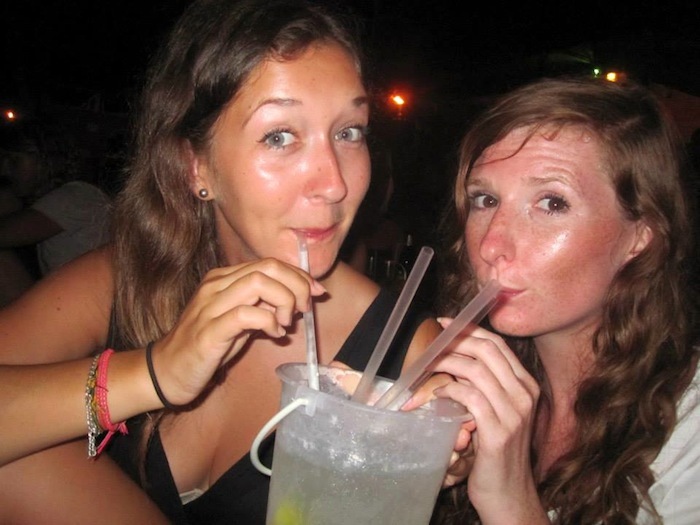 I've always been freckly, but I hadn't been on a sunny holiday in years, so my skin was really pale and my foundation easily covered the light freckles. Now they're out in full force and no foundation can cover them haha, I might actually make a comparison image because I was so surprised when putting these pictures next to more recent ones! Anyway, on to the true reason for this post. I was given this Mii Bronzing Cream as an early Christmas present from a friend and it's such a handy product to have in my makeup bag. When I was very pale like in the images above, I had to be careful using the product to make sure it was properly blended but it was still a lovely bronzer, however now I'm slightly more tanned it's much easier to just add a dash of shimmer to my cheeks! The product itself is almost a compact gel rather than a cream, very easy to pick up on buffing or stippling brush and then apply over your foundation or straight onto bare skin. It creates a lovely colour on your cheeks that can be used by itself or emphasised with a wash of blusher. It highlights and creates a shimmer effect, but it's definitely not glittery at all - it's a very fine, sheer shimmer. I'm still struggling with the weather here in the UK. It's not quite warm enough to wear what I want to be wearing yet, so I seem to have reverted back to wearing very autumnal outfits. It was definitely not sunny enough to be wearing sunglasses on this day either, but I didn't have a case and didn't want them to get scratched in my bag so decided that my head was the safest place! I loved the simple combination of this studded collar and my favourite burgundy jumper. The jumper is perfect to wear with shirts and leggings because it has a scooped hem, it's straight along the front but it scoops down at the back to cover your bum. I wore this travelling down from Lincolnshire to Southampton earlier in the week, I decided I needed something comfy to wear on the 2 trains and 2 tubes! My makeup routine has been quite simple recently, since I've been back from Thailand I haven't really felt the urge to wear my usual matte foundation, or wear much eyeshadow. I thought I'd do a quick overview of a basic routine that I've been enjoying at the moment. A simple cat-eye, a light contour on the cheeks and a neutral lip colour are what I've been turning to. Some quick outfit snaps from the other day! I'm looking forward to being able to wear outfits like this without tights for the summer. It was a bit chilly like this so I popped a jacket over the top too. I love this cute unicorn crop top I picked up in Thailand, it was so ridiculously cheap I couldn't resist! It sits perfectly in line with the waistband of the skirt which is great for me, I'm not a fan of flashing my belly ha. 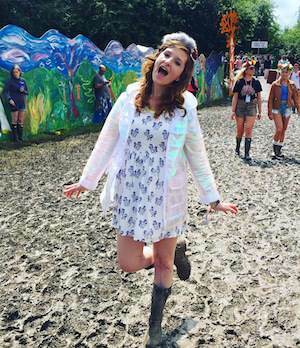 I'm hoping it will sit the same with my high waisted denim shorts, it would make a great festival outfit. I also delved into the world of YouTube the other day and filmed two possible first videos! Now it's come down to it I'm slightly nervous about uploading them but they'll be up soon. You can find my channel here and if you'd like to see my first video when it's up then please subscribe! I'd also love to see your channels if you have them, so leave your links in the comments :) eeeek! 1. Haad Salad beach, Ko Phangan // 2. Sunset on Had Yao beach, Ko Phangan // 3. Ko Samui waterfall // 4. Swing on Haad Salad beach // 5. 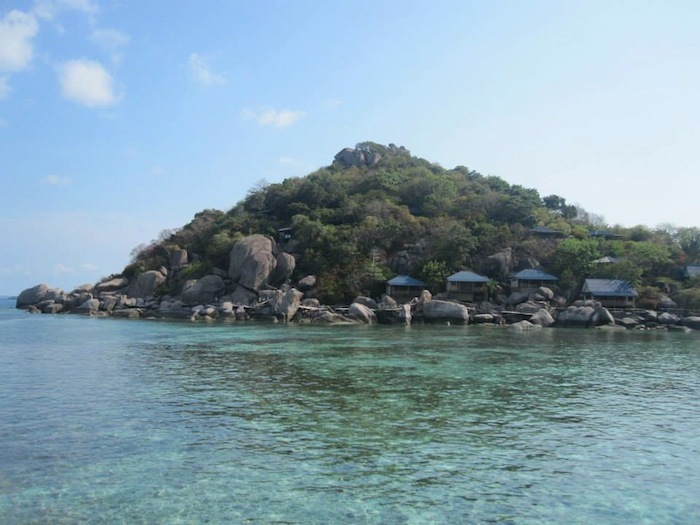 Nang Yuan, island off Ko Tao // 6. 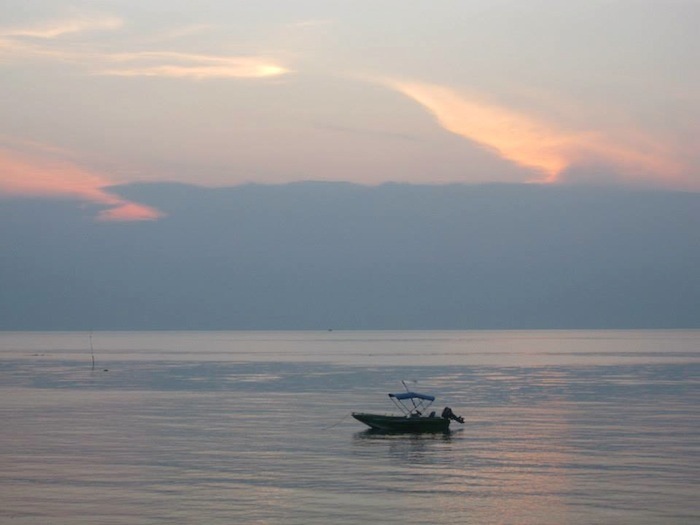 Ko Tao water // 7. 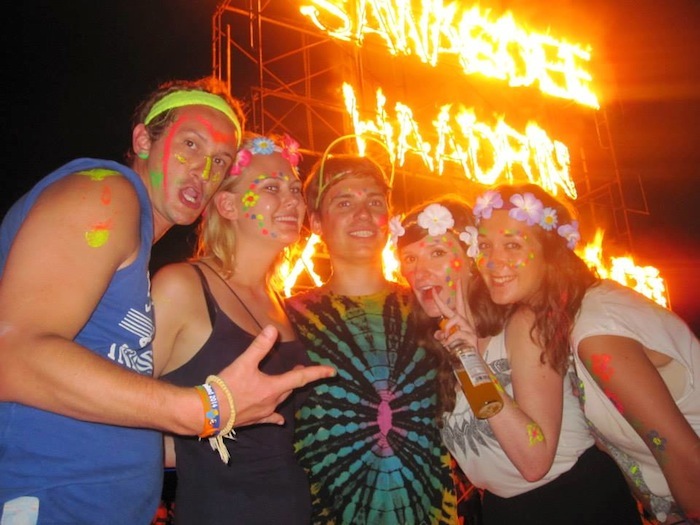 Full Moon Party, Ko Samui // 8. Buckets in Ko Tao. 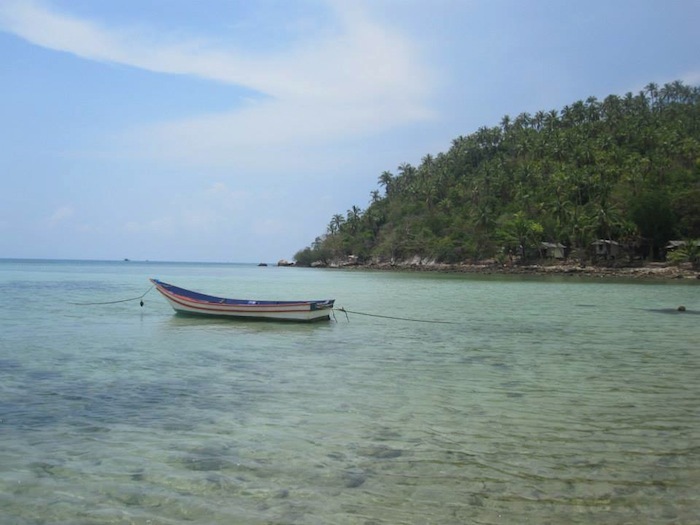 Samui is the biggest of the islands on the East coast of Thailand and definitely the most developed and tourist orientated. It's a beautiful island, full of lots of extravagant resorts and hotels, which means it's very holiday orientated but it does have it's cheaper backpacker hostels and hotels too. 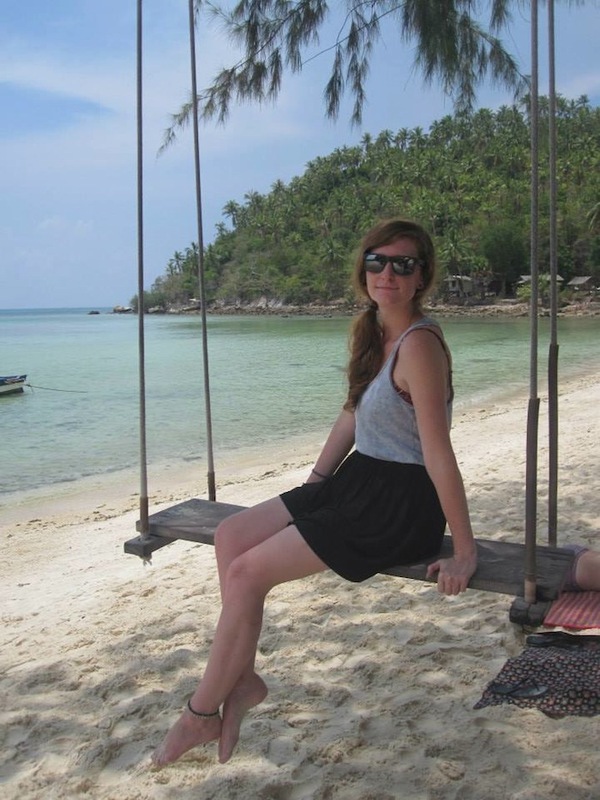 We stayed in the main tourist area of Chaweng and spent most of our time on the beach and in the sea! There's an inflatable course set up in the sea, very much like Total Wipeout, which we played on one day and it was so much fun! I've always wanted to do Total Wipeout so this was an excellent alternative. My arms were like jelly by the end of the day, tired from pulling myself up the inflatables and ladders! 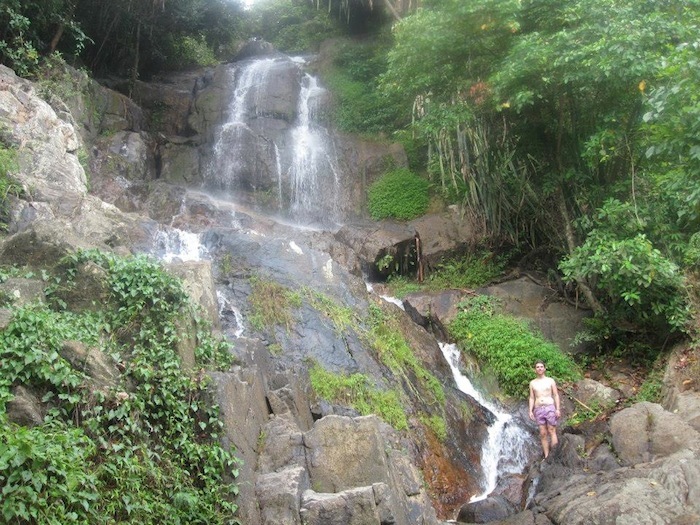 To get away from the touristy-ness of Chaweng, we took a day trip to the centre of the island and visited a waterfall. It took a bit of hiking to get up to the waterfall, along a path lined by jungle, but it was definitely worth it when we arrived. We were able to swim in the pools at the bottom and climbed up the rocks to mini pools higher up the fall. Definitely worth a visit! Tao is the smallest of the East coast islands and my personal favourite. 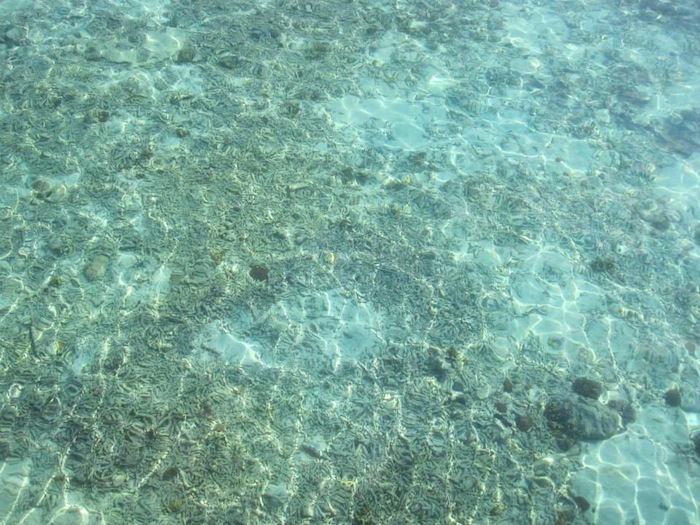 The colour and clearness of the sea in Tao is insane. Honestly I have never seen anything like it before, not even on a postcard! My camera is full of various photos of the sea, waves, rockpools, the port and everything water related. If you're interested in diving then this is the place to do it, the dive sites are known to be amazing and there's so many well respected, yet still cheap, dive companies on the island. We were happy to snorkel instead of dive and it was still incredible. We took a longtail boat out to Nang Yuan, a very tiny island off the coast of Tao, and spent the day snorkeling in the shallow, clear waters. We saw the most beautiful tropical fish and they were so friendly, not at all scared by humans! I had the best time in Tao, I loved snorkeling, the beach, walking around the streets in the evening and all the beach-side bars! As my favourite island I would definitely recommend visiting! This is my last post for my Travelling Thailand series, if you'd like to read the rest of the posts you can see them here. Hope you've enjoyed reading them. :) I've just booked more travels to Laos, Cambodia, Vietnam, Malaysia, New Zealand and Australia for October so at some point I'll be sharing them with you too - eek!